That occasional unwitting-alter ego Ely Williams doing well, I see. 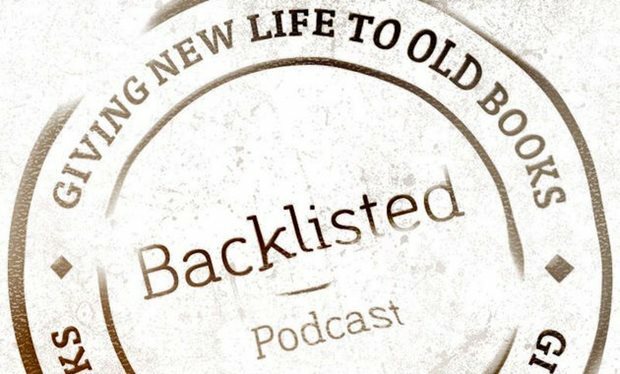 Thanks to Backlisted Podcast for their warm, warm, warm words about Attrib. 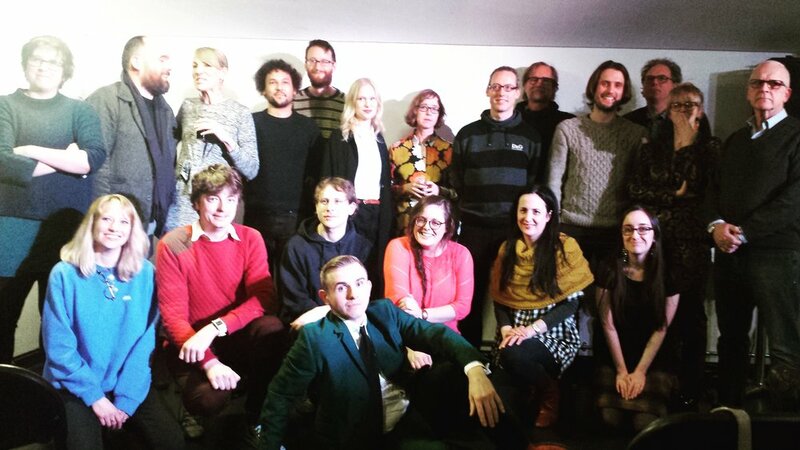 (and a great reading from ‘Synaesthete, Would Like To Meet’!) — a fantastic listen every fortnight, please do subscribe to the show and enjoy this full episode embedded below featuring an account of John Simmons‘ most recent novel as well as The Great and The Good Sarah Perry discussing Gosse’s Father & Son (1907). And congratulations to hosts John Mitchinson and Andy Miller for Backlisted being named ‘Podcast of the Week’ by the Radio Times! Nice things have been said. Here are a couple. I am verklempt and vulgar with thanks. It’s just the real inexplicable gorgeous brilliant thing this book. I love it in a way I usually reserve for people. She is a writer for whom one struggles to find comparison, because she has arrived in a class of her own: witty, melancholy, occasionally sensual, occasionally mordant, elegantly droll without the kind of hipster quirkiness that makes me want to hurl books at the wall. She has in common with George Saunders the ability to be both playful and profound, and we are lucky to have her. …a joyous collection of moments, of love, of language, with such a light, skilled touch. The letters in her words seemed to be drawn from adjacent parts of the alphabet. They had thought about themselves and one another. There was something collusive about them. They backed up one another’s story. They had demanded to be consulted, and come to their own unconventional arrangements. It all makes for alphabetophile writing. In the reader, it produces a kind of constructive estrangement from words. Think William Gass, Lydia Davis or Anne Carson, and you won’t be too wrong. Fiddling with words, as if playing with them were all that mattered, her characters draw time to a standstill–then they stop, suddenly, blinking and thrilled. It’s beautiful, the way they get lost. Funny, playful and utterly bravura, it deserves to be read by everyone with a love of words and an interest in the way deftly wielded language and original ideas can come together to detonate on the page. An emotionally delicate and tenderly introspective collection. The possibilities these stories imply are many, one of them being that you, the reader, could be their unnamed narrator. That’s why, like all good literature, they feel so personal, immediate and incredibly urgent. Williams’ writerly roots in poetry and poetic prose shine throughout this stunning collection of almost intimidatingly intelligent and creative work. So good it makes me giddy. For God’s sake, buy a copy. Williams brings these moments of internal intensity into the spotlight, with 170 pages that positively glow. Williams has a completely unique voice and explores language with a quirky, intelligent hand. These stories are impulsive, darkly comic and utterly compelling. These are stories that are so repeatedly re-readable – for their humour, their humanity and their sheer revelry in the textual matter of the language from which they are made: the physical, pleasurable, palpable, enigmatic and unguent words and all they carry with them. Williams’ USP (even, at times, brilliance), is to drop us in on lives at seemingly innocuous moments—and then wrong-foot the reader, contort the unfolding story, and ultimately distil something elemental from the seemingly banal. Nearly every sentence here dazzles with somersaults. Williams’ writing is emotionally engaged and linguistically playful. This collection has been highly acclaimed for all the right reasons – it is gorgeous, moving, intelligent, it contains striking images and nuanced emotion. Attrib. 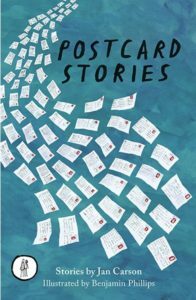 especially works as a series of beautifully written detached vignettes upon the themes of language and love. And what finer themes are there? 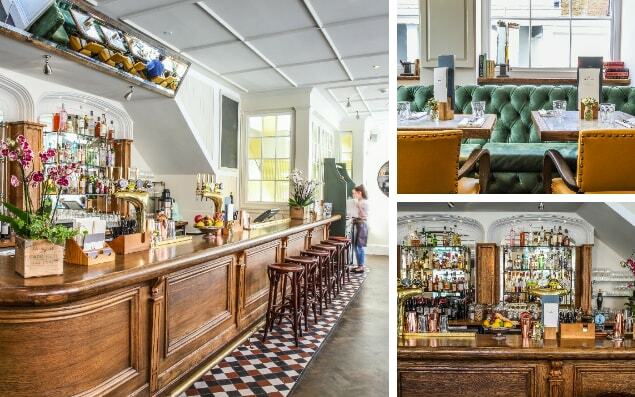 The stories in Attrib. are such treats they deserve to be read like a properly made coffee: don’t take too much at once; enjoy in your favourite place; let each story percolate. 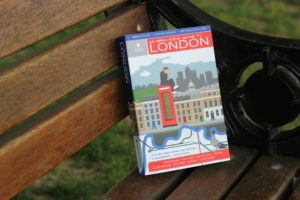 Brief word of pride: Influx Press’ collection An Unreliable Guide to London has been nominated for a Shirley Jackson Award for best edited anthology. Every nominated press gets an engraved pebble-lot, which if you’ve read The Lottery you’ll know is entirely wonderfully terrifying. I teach Shirley Jackson‘s short stories, and it’s a real honour that the weird and cryptozoologiodd tales in the Unreliable Guide can been found on a list dedicated to celebrating what is best in her work, let alone that it appears on the same roster as Emma Cline, Emma Donoghue, Helen Oyeyemi, Camilla Grudova and Irenosen Okojie this year. Fingers and tentacles and everything crossed. 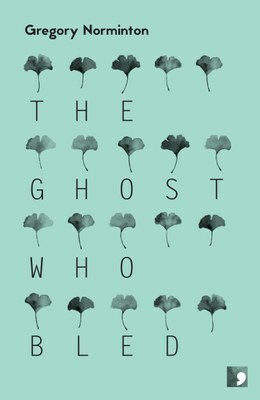 Supporting the launch of Gregory Normington‘s great new collection The Ghost Who Bled. What a thing what a thing. Reading alongside Jan Carson and Greg at Waterstones Piccadilly, 203-206 Piccadilly, St. James’s, London W1J 9HD. Tickets available — 7.00pm, £8 — here. I’ve been pretty remiss in updating here—most of my time since February has been spent working out how to get an em dash to appear on screen. But! Will try and make amends. Nice things have been said and all is well. And! There’s a new site here that attempts to make any account of what I do seem professional: eleywilliams.com. I will fail to update that too but on a purely professional basis. A quick note to say thanks so much for the nomination and votes that meant I found on the shortlist for the Saboteur Awards with Attrib. and Other Stories. On the evening held in London and sponsored by Dylan Thomas Day, I was thrilled to be named runner-up in the category for best short story collection. Congratulations to winner Lucy Durneen and her collection Wild Gestures (MidnightSun), and to the other shortlisted authors High City Walk by Adam Craig (Cinnamon Press), Speak Gigantular by Irenosen Okojie (Jacaranda Books), and Chump by Duncan P Bradshaw (EyeCue). Working with Prue Chamberlain for Fiender, a night of new collaborations for the Enemies Project. 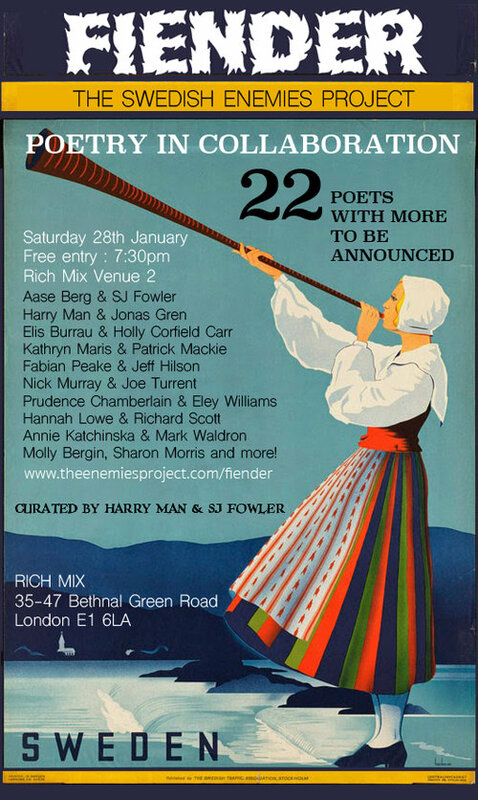 Featuring Aase Berg & SJ Fowler, Harry Man & Anna Axfors, Elis Burrau & Holly Corfield Carr, Kathryn Maris & Patrick Mackie, Fabian Peake & Jeff Hilson, Nick Murray & Joe Turrent, Hannah Lowe & Richard Scott, Annie Katchinska & Mark Waldron, Molly Bergin & Russell Bennetts. Bloomsbury Festival with Annabel Banks and Aki Schilz! 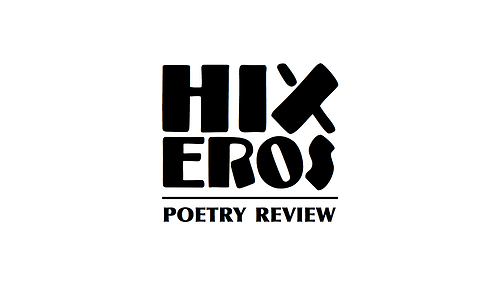 Enjoyed writing a small piece for the latest HIX EROS, ‘an occasional reviews outburst’. This issue contains reviews and responses of, and responses to, the work of Roíbéard Csengeri, Ian Heames, Sophie Seita, Tammy Ho Lai-Ming, Frances Kruk, R.T.A. Parker, John Ashbery, Dorothy Lehane, Florence Uniacke, Rosa van Hensbergen, Jessica Johannesson Gaitán, Emilia Weber, Cheena Marie Lo, James Cummins, Prudence Chamberlain and Nisha Ramayya, as well as an essay by Eleanor Perry. Thanks to editors Joe Luna, Jo Lindsay Walton and Jordan Savage, and to designer Robbie Dawson. Details of HIX EROS‘ associated publications and reading series HI ZERO can be found here; HIX EROS 7 can be downloaded here or by clicking the image above.